Esmaeli, S., Allameh, A., Emami Aleagha, M., Kazemnejad, S., Soleimani, M. (2012). Expression of cytochrome P450 and glutathione S-transferase in human bone marrow mesenchymal stem cells. Iranian Journal of Biotechnology, 10(4), 270-274. Shahnaz Esmaeli; Abdolamir Allameh; Mohammad Sajad Emami Aleagha; Somaieh Kazemnejad; Masoud Soleimani. "Expression of cytochrome P450 and glutathione S-transferase in human bone marrow mesenchymal stem cells". 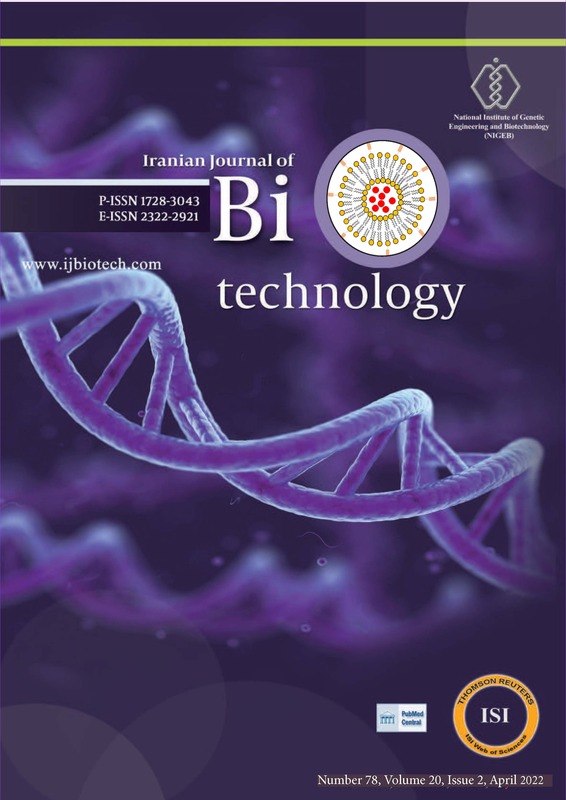 Iranian Journal of Biotechnology, 10, 4, 2012, 270-274. Esmaeli, S., Allameh, A., Emami Aleagha, M., Kazemnejad, S., Soleimani, M. (2012). 'Expression of cytochrome P450 and glutathione S-transferase in human bone marrow mesenchymal stem cells', Iranian Journal of Biotechnology, 10(4), pp. 270-274. Esmaeli, S., Allameh, A., Emami Aleagha, M., Kazemnejad, S., Soleimani, M. Expression of cytochrome P450 and glutathione S-transferase in human bone marrow mesenchymal stem cells. Iranian Journal of Biotechnology, 2012; 10(4): 270-274. 1Department of Clinical Biochemistery, Tarbiat Modares University, P.O. Box 14115-331, Tehran, I.R. Iran. 2Faculty of Nursing and Midwifery, Tehran University of Medical Sciences, P.O. Box 1419733171, Tehran I.R. Iran. 3Department of Hematology, Tarbiat Modares University, P.O. Box 14115-331, Tehran, I.R. Iran. (CYP3A4) were detected in these cells. Results showed that CYP3A4 and GSTA1-1 mRNA are not detectable in MSCs however mRNA specific for GSTP1-1 was considerably expressed in MSCs. GSH content and GST activity was also detected in MSCs. These data suggest that human bone marrow MSCs possess the drug metabolizing activity which may be useful in handling drugs and chemotherapeutic agents passing to the bone marrow.